It’s the perfect idea for a romantic week together; traveling across America by train. But then Hugo’s girlfriend dumps him. Her parting gift: the tickets for their long-planned trip. Only, it’s been booked under her name. Nontransferable, no exceptions. Mae is still reeling from being rejected from USC’s film school. When she stumbles across Hugo’s ad for a replacement, she’s certain it’s exactly the adventure she needs to shake off her disappointment and jump-start her next film. A cross-country train trip with a complete stranger might not seem like the best idea. But to Mae and Hugo, both eager to excape their regular lives, it makes perfect sense. What starts as a convenient arrangement soon turns into something more. But when life outside the train catches up to them, can they find a way to keep their feelings for each other from getting derailed? 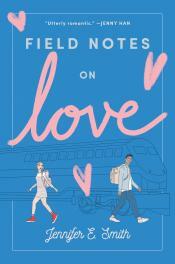 This entry was posted in New Young Adult Books on April 9, 2019 by msbpl.